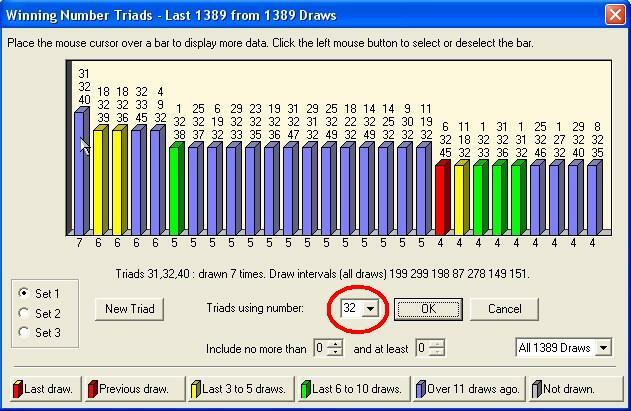 Draw intervals increased from 5 to 10 so we can have a better view of the times that any particular filter was drawn like the 3-2-1-0 or 3-3-0-0 dozens filters above for the UK National Lottery for the 18th of April draw or soon after. This will reduce the possible combinations by 65%. 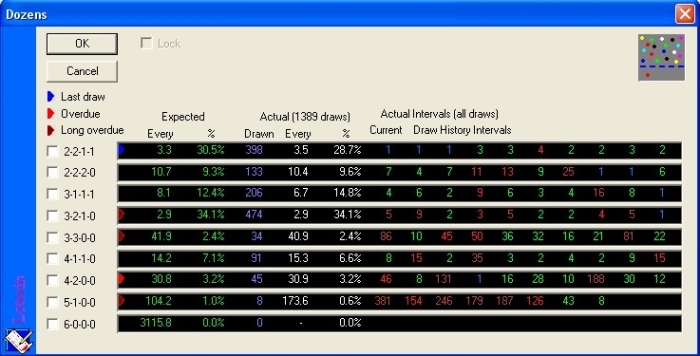 Also shown in the Statistics window for all filters. 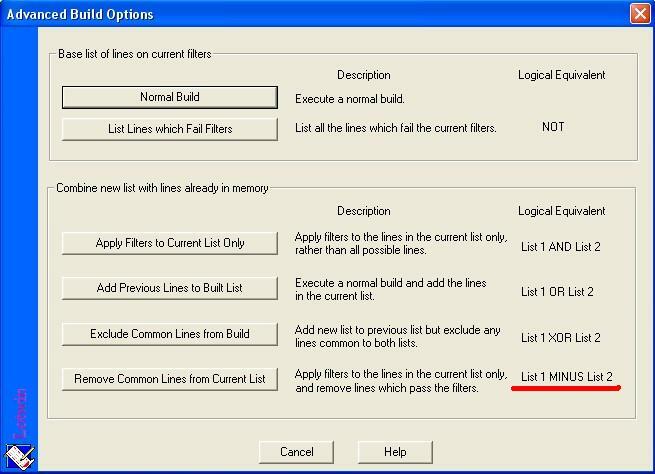 New 'MINUS' function in the Advanced Build Options that will alow us to remove a set of lines from the current list. This was one of the most requested features. 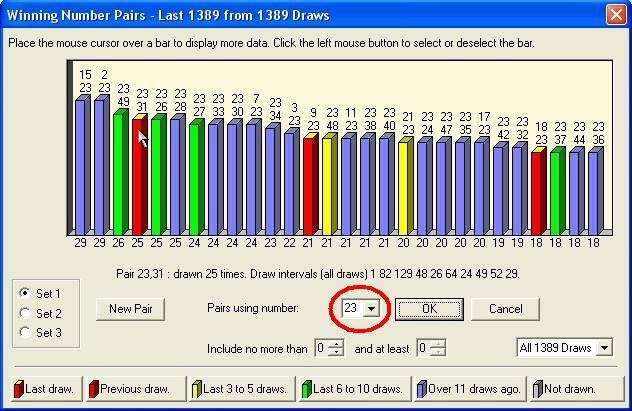 New option to display statistics for a chosen number in Pairs and Triads. This new feature could really make a big difference in our selections. The Toolbar is now user definable so you can add or remove functionality to suit your needs. The new version will come without any filters but they will still be available directly from the LotWin Website. 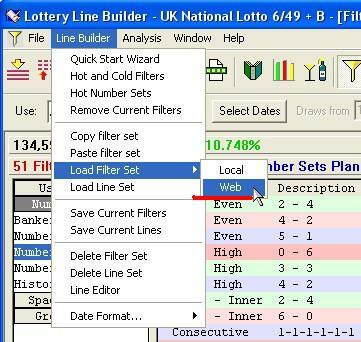 By clicking on the 'Web' menu option you will get a list of all available filters for the specific lottery you are using. This was my request to the team and I'm happy that they have obliged. If you have created any filters that you are proud of and you want to share them with other users of LotWin email them to me and I will make sure they get on the web files with or without your name (nickname if you prefer). 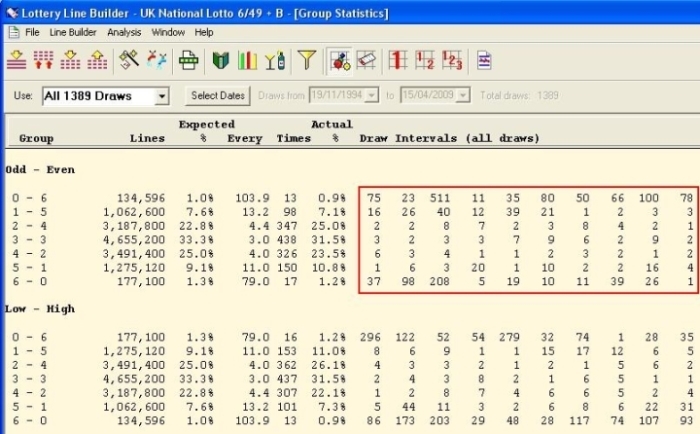 This is our opportunity to show the world how we have cracked the lottery.